Our first clinic was established in the village of El Naranjal in 2015. The clinic in El Naranjal also services two nearby villages (Sabaneta & Chicistepi). The clinic has been very successful. We have seen tremendous health benefits to the mothers and children in the area. In April of 2018 we established a mobile clinic that is serving four new villages (Ojojona, El Horno, El Tablón, and one undisclosed location). At this time we need ongoing financial support for the clinics that are serving these seven villages. 100% of the funds go directly toward the clinics. The funds are used to pay the doctor's salary, purchase medications, purchase necessary equipment, and pay for gas to travel to the remote locations. We also collect over-the-counter medications and vitamins to take with us on our semiannual trips. 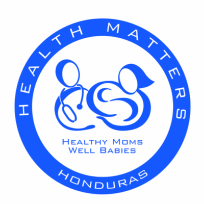 If you wish to donate towards Health Matters, please use our donate tab or contact us directly. All donations are tax deductible. If you own your own business and want to partner as one of our donors, please let us know and we will get all the information to you. If your church, small group or homeschool group would like to partner with us we would love that too! We would also be glad to come to your church, business or school group and share the vision of Health Matters. Health Matters cannot exist without others contributing to the cause. Of course, it goes without saying, that we greatly appreciate your prayers. If you or your organization can help with any of these times please email us. Or you can donate through our parent organization, Simple Matters, by clicking the donate button below.